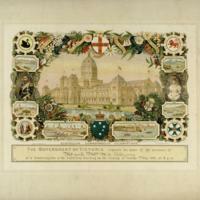 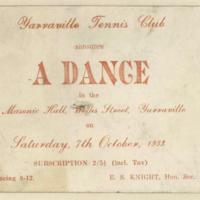 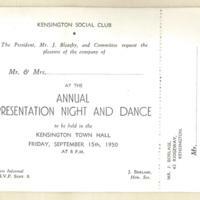 The Government of Victoria requests the honour of the presence of Mr and Mrs W.A. 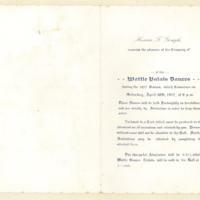 Callaway at a conversazione in the Exhibition Building on the evening of Tuesday 7th May 1901, at 8 p.m. 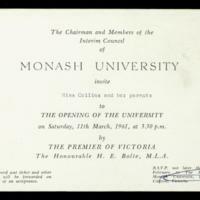 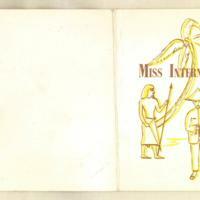 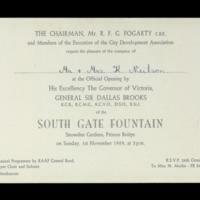 The Chairman and members of the Interim Council of Monash University invite Miss Collins and her parents to the opening of the university on Saturday, 11th March, 1961, at 3:30 p.m. by the Premier of Victoria the Honourable H. E. Bolte, M.L.A.